Last Saturday, the 21st November, the Fox, Finch & Tepper team awoke to the fantastic sound of a newspaper thudding heavily onto our doormat. Amidst the heroes and villains of modern day news, was a charming Sempé illustration of three children ice-skating and a strange-looking man striding through the snow. And alongside this artwork was the very first full review of one of our books! What a cracking review. 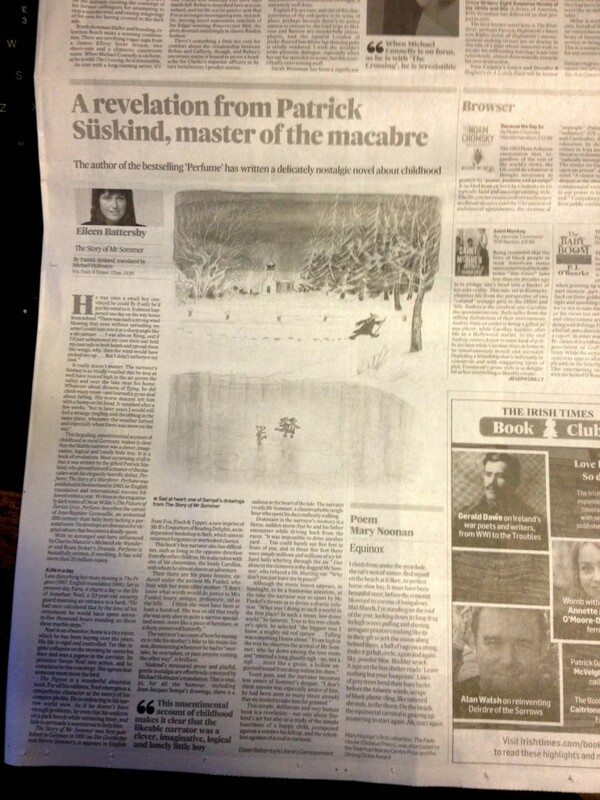 Thanks to Eileen and to the team at The Irish Times for featuring The Story of Mr Sommer.